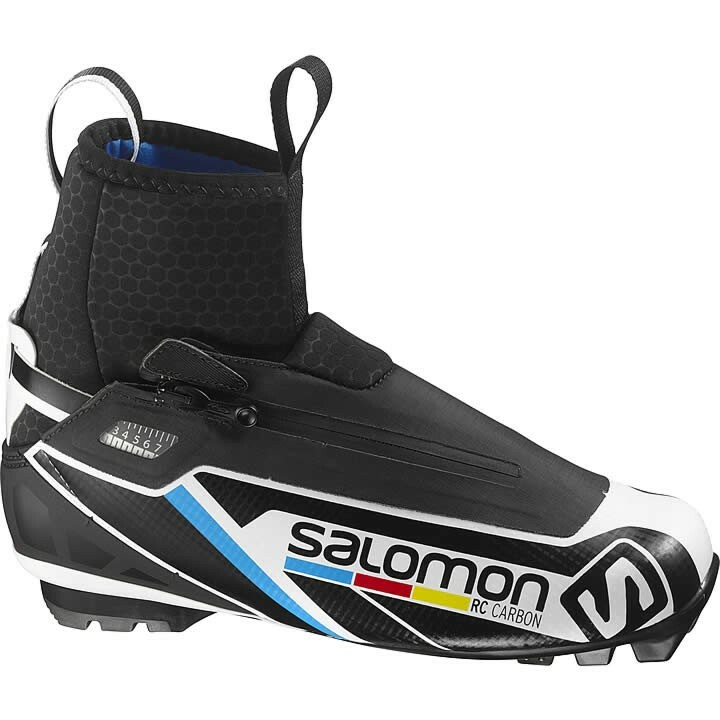 The RC Carbon is a World Cup proven classic boot from Salomon with a slightly wider last, Custom Fit and dissociated lacing system for maximum precision and comfort. SNS Pilot® 3 Racing Classic: Underfoot Technology enables the greatest power transmission, most natural kick, immediate control and responsiveness. Buttressing wings stiffen the sole, driving the power into the binding's guide ridge. A clean ridge channel minimizes snow build- up. 3D Mesh: 3D mesh fabrics drives the humidity away from the feet and improves breathability of the boot. Sanitized: The Sanitized treatment offers a bacteria prevention and fulfills an anti odor function.